Let’s face it – ten scary minutes at sea get a lot more attention than a thousand peaceful hours. The problem is that those fun hours can lull us into a false complacency. It’s easy to forget that most problems afloat start small and seem innocuous. But bad consequences can mushroom very quickly. As long as no one gets hurt, we live and learn, and trust in insurance coverage! At sea Tommy learned that bad things usually happened in sequence. A line would wrap and tangle on its winch, and the resulting jam would cause a distant overloaded pulley to explode. The newly freed line would release its sail outwards, and the boat would careen off course. The boats’ new angle to the wind would send heavy booms swinging across short distances at high speed. Then something hard would hit something soft, and masts would come tumbling down. But not inevitably. Every crisis at sea has its own soundtrack, and Tommy had ears that could hear paint dry. As often as not he’d hear that slightest groan of a line before anyone else. Back when he was a delivery skipper he didn’t mind sailing the old, beat up boats. He liked the challenge, and the daily tests of anticipation. So in time he forgave himself for his failure at hearing, and for sleeping through a faint ker-plunk in the middle of a rough passage. But he never got over the fact that he didn’t see it coming. First, there’s lots of moving water here. Because its harder to see, it’s easy to forget that current pushes even big boats around a lot more than wind can. Here, the captain turned in through the breakwater late and slow, and the current swept him down into a tougher docking position than necessary. through the narrow slot in the docks the boat show opened up for us. My good friend Paul Crean had warned me the night before about the four knot cross-current, but I ….. forgot? I failed to compensate enough, and just like the captain above, I came out late and slow. Of course I got swept down current about twenty feet, broadside, and was lucky that a late jump of RPM was enough to squeeze me through the slot unscratched. The mega yacht I just missed was even luckier! I beat myself up all afternoon about this (after all, I had been warned), and in the end decided the mistake was psychological. Surrounded by a gazillion dollars of competitor boats and hard docks, I slipped into a fearful, tentative mode. A mistake, that. Come in hard, and land soft. It beats coming in soft and landing hard! Second, once the Captain got her through the breakwater and begun to angle her stern in, the portside wind grabbed her and spun her a little too far downwind. To spin her back upwind into docking position, he really leaned on his thrusters. That’s asking a lot of them, in these conditions. That’s why I usually spec oversized, hydraulic thrusters, as they are immune to overheating and shutting down. In any event, again, more RPM would have been the better approach, spinning his stern back upwind quicker. Remember, throttles are your friend! “Hell’s Gate can be tough. Especially wind against tide,” Tommy said. He drained his beer and gestured for another. “Would you have any warning?” Tommy asked. Clearly, in this video fumes met spark, badly. I am puzzled by the source of fumes. Boats like this are always diesel, and typically don’t have propane tanks. And propane explosions (sad to say I’ve seen one and heard two more) are usually much more violent than what we see here. There’s no tender garage under the cockpit, so it’s unlikely they had gasoline aboard, but I suppose it’s possible. Maybe there was an open can of paint thinner lying around, or some acetone-soaked rags? Whatever the source, I’m almost certain the igniting spark came from the thruster’s electrical connections. Thrusters are high-amperage motors, right up there in draw with windlasses. The longer the captain leaned on them, the hotter those connections got. And then, whether through poor design, poor build, or poor maintenance, something glowed or sparked. And then … boom. An oversized fuse, allowing the electrical wire to carry more than it’s rating. A defective fuse (it can happen), or, God forbid, no fuse at all (ditto!). A poorly crimped lug to the fuse block (vise grip pliers are no way to do a safe crimp). An oversized lug (I see this way too often), perhaps held in place by a rusting washer. Undersized wire running to a too-distant battery, fastened down without strain relief, stretching its connections. An errant screw poking out through a bulkhead (again, seen way to often), pierces the wire insulation. I’ve been guilty of ignoring this on one of my own boats. Except for you rigging knife, there’s no room for sharp things on boats! I don’t blame the captain here. For all we know he was new to the boat, and to the harbor. No, this disaster was all about the boat. My takeaway? When you put big-boat components on little boats, make sure you do it right! Again, I just hope no none was hurt. I’m just back from an amazing trip to Turkey. It was my 20th trip to Istanbul, and my first in five years. It was great to be back with old friends, among great boats. 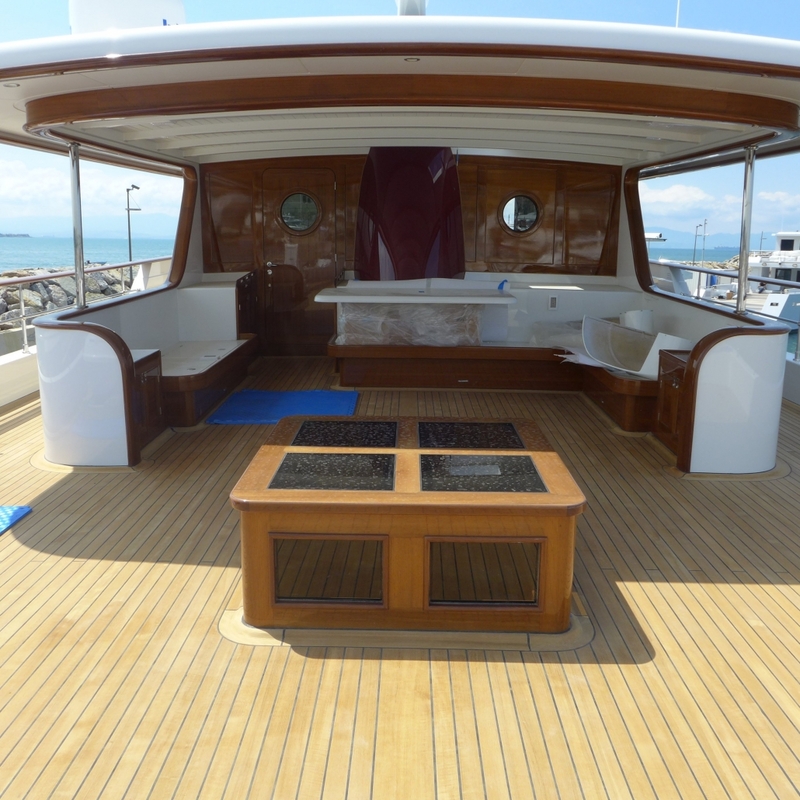 You’ll see in the following pictures that Reliant Yacht’s builder builds a lot of big yachts. From my perspective, that’s a wonderful thing. All things being equal, if you can build a great big boat, you can build a great small boat. The reverse ain’t always true. I’m going to try and get back there for her sea trial later this summer. By all means let me know if you’d like to come help me sail this beast! I’ve known Tanju for almost fifteen years. 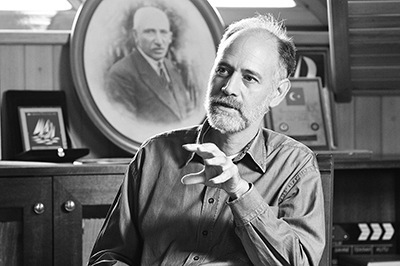 IMHO he’s one of the finest designers on the planet. You can see more on his website at www.takayachtdesign.com. 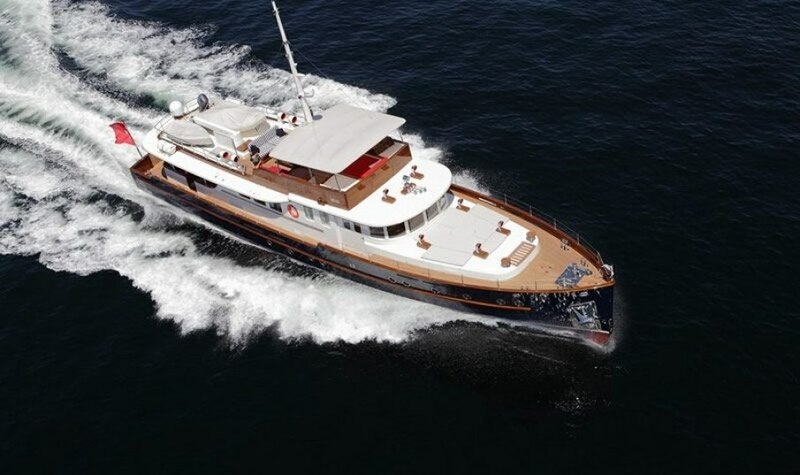 Reliant Yachts, in the US and Istanbul, has a close working relationship with Tanju, and we can help design and build for you just about anything that floats. Anyway, I spent a great deal of time aboard this 37M with our electricians, watching them run their final tests on her numerous sub-panels. It’s quite sobering to realize exactly how much top-notch electrical engineering is required in yachts of this size. I learned the electrical wiring alone for this yacht weighed in at an excess of 20,000 pounds! Then, I moved on to our smaller boats. I haven’t been able to disclose too much about them until now, and I appreciate your patience. We here at Reliant Yachts have sold three (yes, three!) forty-foot tenders to a single client. They will serve as tenders to his huge mega-yacht, currently under construction somewhere in Europe (it’s design and location is confidential, for now). These tenders are of three very different designs, for three different purposes. All will be stored in a “three-car garage” some 75 feet above the waterline. The design/build specs to fit these three boats into their assigned slots involve tolerances of less than 1/4″! I am so impressed with what our team can accomplish. Not everyone in our industry can pull off this kind of thing. 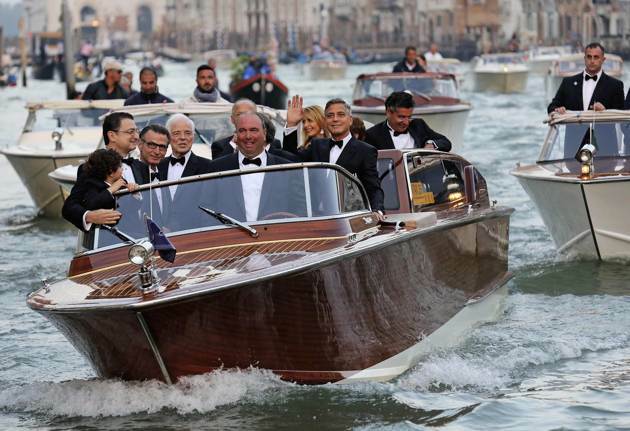 On top is our Limousine Tender, designed to carry you and your guests, Venice vaparetto-style, from cafe to cabaret (extra points to whomever can identify that line). 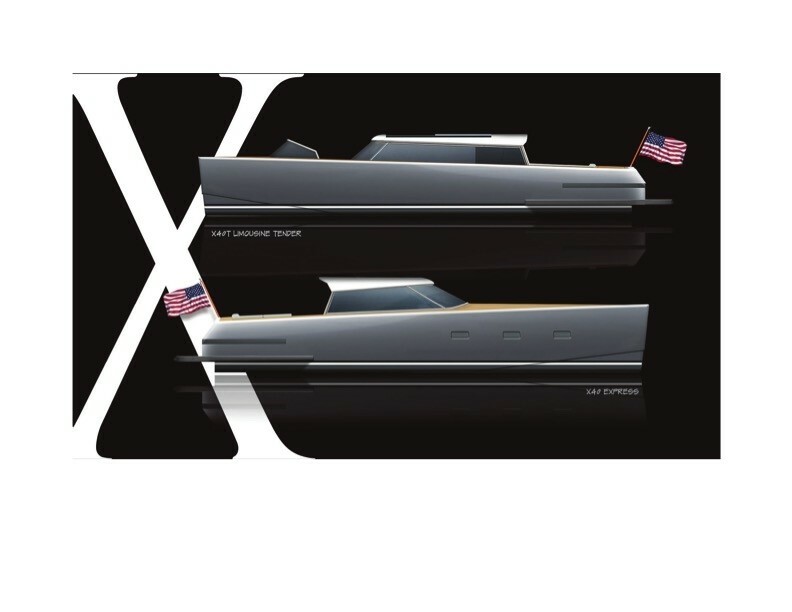 The second tender, our X40 Express, will make a lot of waves in the US market when she splashes. Feel free to contact me for full details and pricing information. Build time is much quicker than you might expect. Here’s a pic of our Reliant Yachts’ team reviewing the first two tenders. Left to right, it’s Dave McFarland, the heart and soul of Reliant Yachts, reviewing the framework with our chief composite tech. Next, in black, is Jim Ewing, the architect who provides the brilliant aesthetic vision behind all of RY’s unique stylings. And finally, on the left, Tim Grunert, our extremely impressive Turkish/Swiss engineer and yard manager. A great team, among the best I’ve worked with. These before and after views never cease to amaze me. I marvel over the process that begins with wood and epoxy and ends with one of the most modern and high tech of looks imaginable. That we can achieve this with boats from 40′ right on up through megayacht sizes just blows me away. The best small boats are usually built by those who build the best big boats! 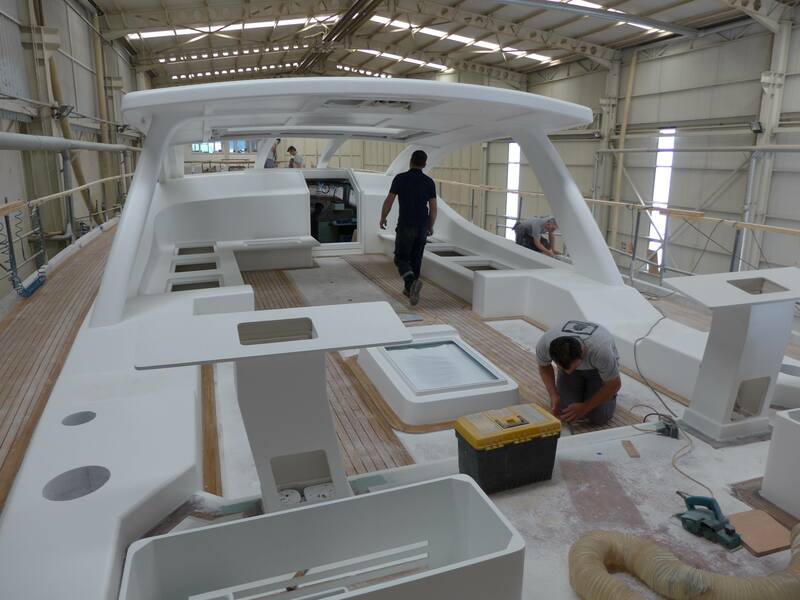 In composite, glass, aluminum or steel, up to 50 meters and beyond, let us here at Reliant Yachts make your dreams come true. Ciao for now, my friends.